We hear this reaction to magnet therapy quite often. The magnets are weak, under-powered, improperly designed and/or improperly marked. An example is most magnetic necklaces have both poles touching the body – scientifically and energetically not good for you. There are no instructions of which side (polarity) to properly apply the magnet which can lead to stressing the body with the wrong energy field. There may be instructions to use a particular side of the magnets, but if the application is made without using the body’s organic polarity, the right energy on the wrong location (meridian) will stress rather than help heal. Unfortunately, we live in times of cheap knockoffs. These knockoffs or worse… the shinny, pretty magnetic jewelry or magnetic pads or belts disguised to resemble proper therapy devices are being sold everywhere. It’s bad enough that these wannabe devices are so weak, but often their design puts the wrong energy into the body. Over the years, we have had to help a few people with long exposure to the wrong polarity. The problem is very few people know the basic principles of Biomagnetism and its remarkable therapeutic properties. Many people have had the experience of using a poorly designed, useless device and when nothing happens, decide magnetic therapy doesn’t work. Or maybe they bought a powerful [dangerous] magnet on the web that are marked backwards and it made them feel nauseous. When something doesn’t work – people generally leave and don’t look back. 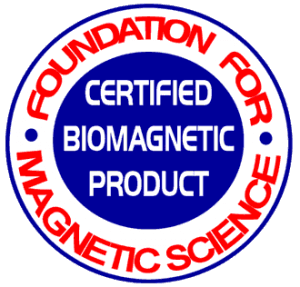 Unfortunately, people who used junk magnets didn’t find out about BiomagScience, the Science of Biomagnetism which can help them immediately. BiomagScience’s simple, easy-to-apply, advanced therapies have been helping others for many years. 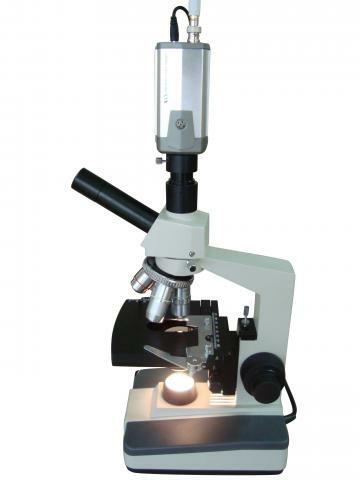 If you review our research, our before and after photo-microscopy, cellular tests and outstanding results of acute, chronic cases some of which were 25 years long, you will understand why our therapies are used and taught by clinics, medical institutions, practitioners, dentists, and people worldwide every day. It is important to understand BiomagScience has a scientific background of 35 years of scientific research, development and application in Biomagnetism. We only produce high quality, powerful therapeutic biomagnets made from expensive, rare-earth neodymium alloy. Three sizes of solid-state Super magnets were designed to provide all the proper energy requirements from simple to very deep tissue therapy. Our advanced therapies have not only helped the day to day aches and pains, but have awoken people from terminating comas, regenerated severed nerves, increased crushed splintered bone healing and a host of other traumatic, acute and chronic conditions. Each BiomagScience Biomagnet is color coded Green and Red for the correct therapeutic polarity and has raised lettering on one side so you can put them on correctly when applying them out of sight such as on the back. All Biomagnetic Kits come with complete instructions and the “Conquer Pain, the Art of Healing with Biomagnetism” therapy book used and taught around the world explains the step-by-step protocols to help resolve most conditions. Our Illustrated Guide shows all the latest techniques which can work within your daily lifestyle. We have a forum and newsletter to help you completely understand this simple science. 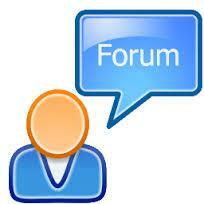 We also consult personally through email and phone. On a side note: Our most powerful Super Biomagnet which is one inch in diameter and 5/8ths inch thick, has a 21 inch penetration rating. This is required to reach deep enough into your muscles to help relieve the tears of a sciatica flare-up or go through a cast to help heal a bone or assist normalizing your major organs by recharging and helping fully detoxifying them. The Supers are so powerful (essential for deep therapy) that the Post Office requires special packaging for shipping. In developing its therapies, BiomagScience integrated Physiology with Energy Medicine in order to understand and measure the correct [electrical] energy values of the cells and how that energy flows through the tissue and throughout the body. Using these precepts, BiomagScience developed its therapies to properly amplify the cells and the flow of energy to assist the body in pain relief, detoxification, healing and increased vitality. All BiomagScience therapy protocols were developed to support rapid and remarkable results which are measureable as the increased cellular voltage scientifically shows the improvement in the health and vitality of the cells. For example, knowing how the energy flows in the cells, tissue and the body is essential in providing the proper therapy for the limbs which have different polarity meridians on each side. This is of the utmost importance because using the healing energy on the wrong location causes stress, which prohibits healing and is known to cause other conditions. BiomagScience through the Foundation for Magnetic Science is the primary Institution responsible for teaching the correct application therapies on the limb meridians. This has lead to healing broken bones remarkably faster, regenerating severed nerves – something not accomplished before and a host of other miracle-like results. If you need magnetic therapy, but have had a poor experience with it, quickly scan the Research at the bottom of our BiomagScience.Net site so you can verify how BiomagScience can help provide major pain relief and healing; especially from conditions that allopathic medicine had given up on. As the leading authority of Magnet Therapy, we have a social responsibility to educate you, even if you purchase elsewhere. Here are a few simple things to look for –- or actually… you should demand when purchasing magnets for healing. Does the company produce and share the Science behind their magnetic therapy or do they state a couple words about maybe stimulating the blood flow for a quick sale of cheap magnets? How many years of Research if any, does the company have? Does the company offer education or personal consultation on suggested therapies? Are their magnets designed and marked properly? UPDATE: We are so concerned about these improperly designed, stress producing magnetic bracelets and necklaces that if you bought a useless magnetic bracelet or necklace and can show us a personal picture of it –- we will give you a fair discount on your purchase of BiomagScience Magnets. Please contact our office by using the Contact form for more information.